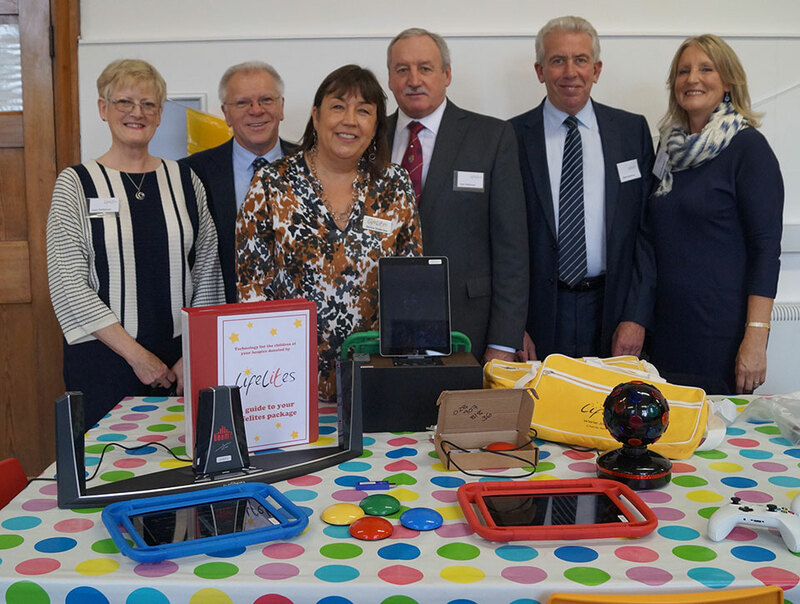 A donation by West Lancashire Freemasons’ Charity of £5,000 to the charity Lifelites has allowed them to provide a package of interactive technology for the patients at a local children’s hospice, Claire House in Liverpool. The grant to Lifelites was made by the West Lancashire Freemasons’ Charity during a recent national fund-raising event that saw the charity’s Chief Executive, Simone Enefer-Doy, call at Blackpool as part of a national tour. Phoenix tries out the new ‘Magic Carpet’. Simone was joined on a recent visit to the hospice by Assistant Provincial Grand Master Derek Parkinson, Assistant to the Provincial Grand Principals Sam Robinson and local group chairman Mark Matthews, who all had the opportunity to see the difference the technology is making in enhancing the lives of the children who are cared for at Claire House. One of the ‘technology packages’ they saw being used was the ‘Magic Carpet’, this is a fantastic sensory learning tool with the capacity to engage people of all ages and abilities. The system projects interactive games and images onto the floor that users can play with and control simply by moving on or over the projected image. Pictured at Claire House, from left to right, are: Joan and Derek Parkinson, Simone Enefer-Doy, Sam Robinson, Mark and Debbie Matthews.